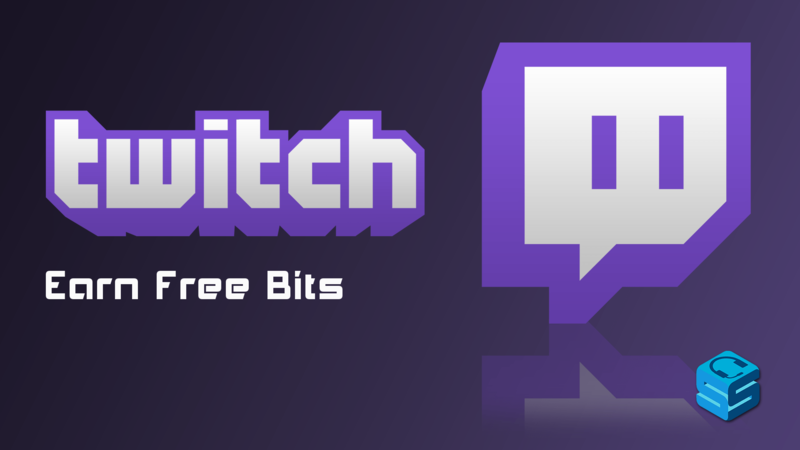 Cheering has been a feature on Twitch since mid-2016, which allows viewers to spend a currency called Bits on Twitch Partners and Affiliates. The streamer receiving bits gets paid $0.01 per 1 bit while the consumers purchase bits at a higher rate as a revenue source for the company itself. There are a few ways you can earn bits and drop them in your favorite streamer’s chat to support them. If you’re a streamer yourself, showing support to fellow streamers can help build relationships with them. This method, easily found within the interface for using and purchasing bits, enables eligible viewers to watch short, interactive advertisements and earn 5 or more bits per ad. 1. On a Cheers-enabled channel, click the cheers icon in the top right corner of your chat box. If you don’t see the icon, the channel you are in does not have cheering enabled. 2. 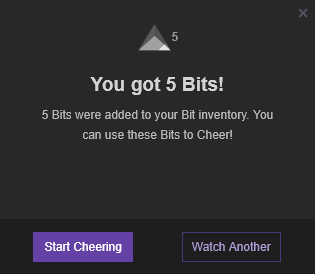 Click ‘Get Bits‘. At the top, you’ll see a ‘Watch Ad’ button. This button will gray out after watching a few ads as a cooldown. 3. Observe the ad (usually about 30 seconds long) and interact with it at least once. When the bar at the top says Done, you can close out the ad and you can see how many bits you earned. 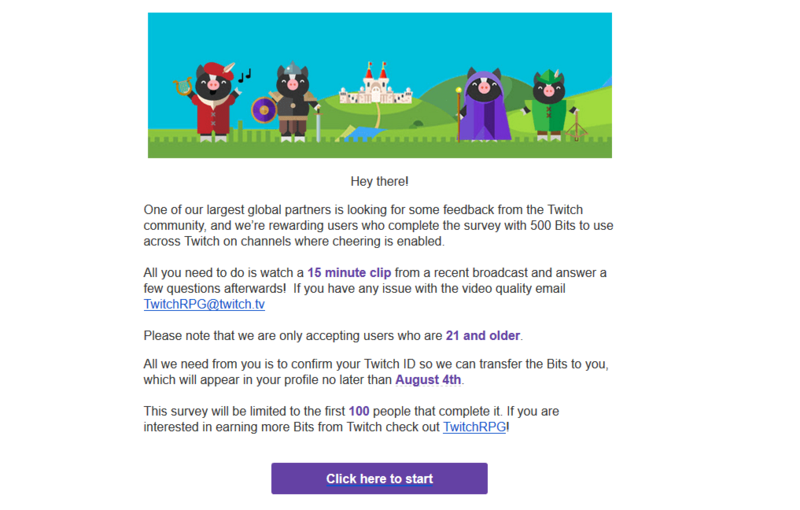 TwitchRPG (Research Power Group) is Twitch’s official hub for surveying viewers and streamers. Users can complete surveys to help improve Twitch products and features, vote on new global emotes, and more. Occasionally, a survey will come with a bits reward for a limited amount of users who complete the survey first. These rewards are typically 500 bits without the surveys being too long, so it’s a nice way to get free Twitch bits if you’re quick enough. TwitchRPG is not available in my area and when I click get bits and try to click watch ad it says try again and I won’t be able to press watch ads. Is there any other ways to get free bits?